After having a good game against the Egyptian side on Wednesday night, Eden Hazard has made it known he will be supporting them at the World Cup. 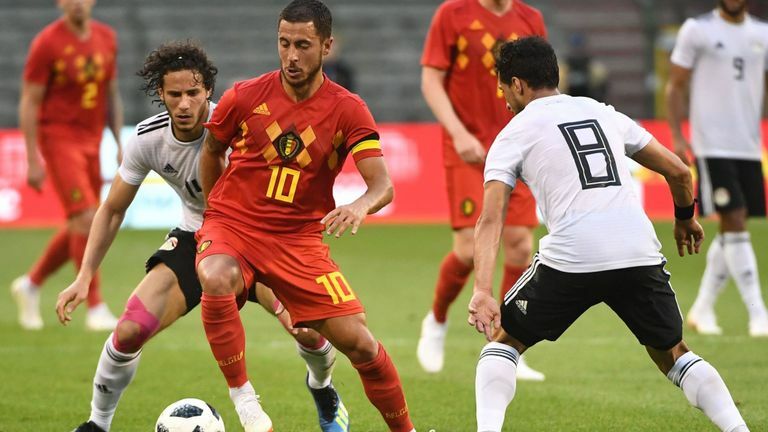 Eden Hazard had a fantastic game against Egypt on Wednesday, the Chelsea star man got a goal and also had a hand in Romelu Lukaku 's opener. Belgium won the tie by a 3-0. Marouane Fellaini got the last goal of the game in second-half stoppage time. Speaking with ON Sport after the game, Hazard made it know he will be supporting the Egyptian side during the World Cup because of his friend Mohamed Salah and he also reveals he hopes Salah takes part in the Football Festival. Belgium has now played their last warm-up game before the World Cup kicks off on June 14 and they will be jetting out to Russia soon.